We're the perfect strategic partner for anyone looking to reach physicians and other healthcare providers in a highly credible, endemic environment. Only verified members and stakeholders of the country's premier medical associations and the renowned Cleveland Clinic receive our briefings. So audience quality is a certainty. Our in-house HCP data management platform derives insight from proprietary HCP audience data, combined with sub-specialty, treatment, diagnosis, and facility data, to define and target your audience — deterministically — at the NPI level. We'll deliver your message to your targets, wherever they are consuming media. 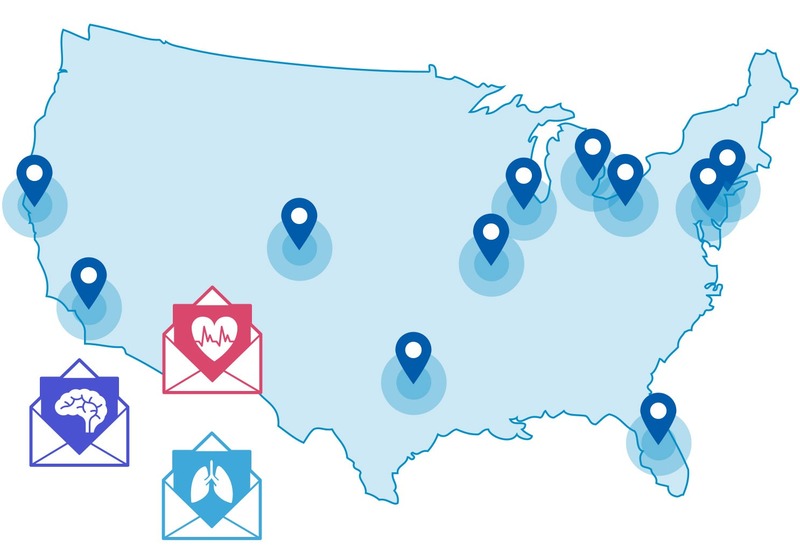 Through a combination of proprietary HCP audience data and best-in-class partnerships, we'll manage list-match or segment-based ad targeting on approved sites and apps, or geo-fence healthcare facilities and HCP conferences, to complement your BulletinHealthcare briefing campaigns. 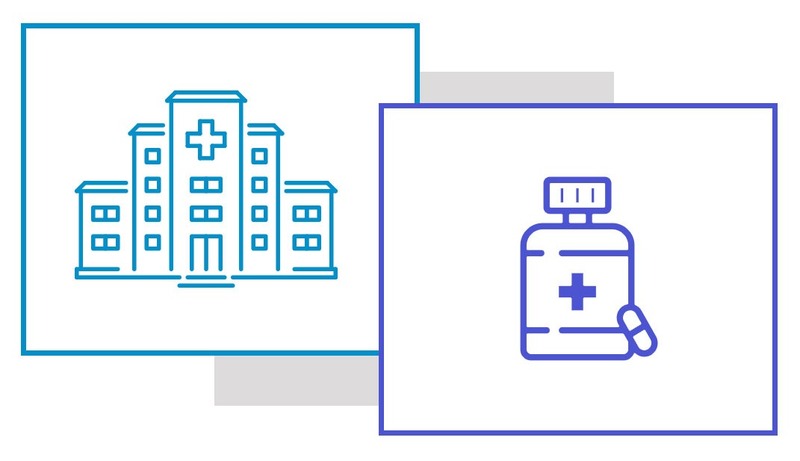 As a client of BulletinHealthcare, you'll have access to Rx lift and attitudinal studies, conducted by industry-standard third parties, to measure the result advertisers care about most: ROI. One ROI analysis we ran for an infectious disease brand found 18:1 ROI and a 28.3% lift in TRx. Let's work together to calculate your ROI. Our advertisers include virtually all major pharmaceutical companies, as well as medical device makers, hospitals and health systems, CME programs, health IT companies, and others. Let's talk about how the BulletinHealthcare platform can help you achieve your HCP marketing objectives. BulletinHealthcare is proud to offer Healthcare Marketing Daily, a complimentary email news briefing for healthcare marketers. 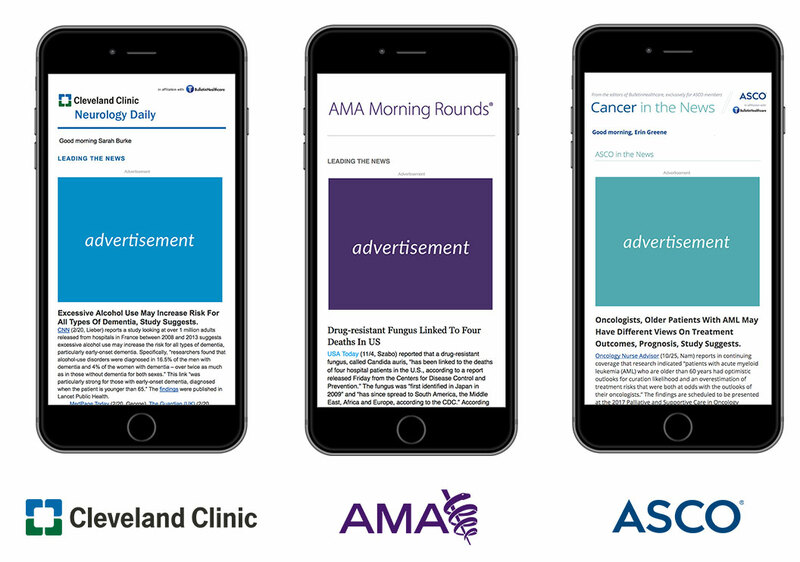 Healthcare Marketing Daily is sent to your inbox each weekday morning, letting you start your day with actionable insights from our seasoned healthcare analysts.